Personal injury and wrongful death claims resulting from car accidents, motorcycle accidents, bicycle and pedestrian accidents, premises liability accidents, and other claims of negligence and wrongdoing. 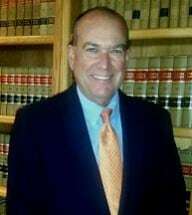 Our attorney, Michael G. Ciaccio, began practicing law in 1985 and he has concentrated his practice exclusively on personal injury law. With such an extensive amount of experience, Mr. Ciaccio possesses the skills and knowledge necessary to handle even the most complex and challenging cases. He works hard to secure the maximum amount of compensation possible on behalf of those he serves. Widely regarded as one of the top personal injury attorneys in the region, Mr. Ciaccio is here, ready to help you recover the damages you incurred. Contact our law firm to schedule a free, initial consultation for more information on how Ciaccio Law Firm, P.C., can best serve you in your time of need.